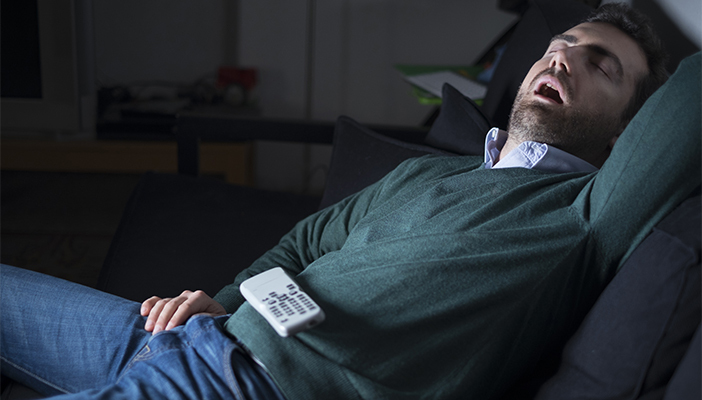 New research by the University of Birmingham has found a link between obstructive sleep apnoea and an increased risk of advanced diabetic retinopathy. The study indicates that patients with both type 2 diabetes and obstructive sleep apnoea (OSA) have an increased risk of developing diabetic retinopathy within an average period of less than four years, when compared to those with diabetes only. Research team member Dr Abd Tahrani argues that the results support the need for preventative measures, such as testing patients for OSA. OSA is a condition where the walls of the throat relax and narrow during sleep, resulting in snoring and interrupted breathing. OSA is common in patients with type 2 diabetes, but most patients who have OSA are not aware that they have the condition. Diabetic retinopathy, the most common form of diabetic eye disease which affects between 40 and 50 per cent of patients, has been linked to OSA in previous studies. However, this is the first published research assessing the impact of OSA on the progression of diabetic retinopathy in patients with type 2 diabetes. The longitudinal study was carried out at two diabetes clinics in the Midlands and involved 230 patients with type 2 diabetes over three years and seven months. The patients were assessed for diabetic retinopathy using specialist retinal imaging, while OSA was assessed using a home-based, multi-channel cardio-respiratory portable device. The results from the first assessments showed that diabetic retinopathy prevalence was higher in patients with OSA (42.9 per cent) compared to those without OSA (24.1 per cent). The longitudinal study found that at a follow-up appointment approximately 43 months later, that the patients with OSA (18.4 per cent) were more likely to develop moderate to severe diabetic retinopathy compared to those without OSA (6.1 percent). The study also showed that patients who received treatment for OSA had a lower risk of developing advanced diabetic retinopathy compared to patients who did not receive the treatment. For more information about the research, contact Emma McKinney, University of Birmingham on 0121 414 6681.